The interior of your car can have many different types of materials and surfaces to look after which all need to be treated in a particular manner. Although these are not open to the harsh environment like the exterior of your car and thus do not get as dirty as often it is still important to look after it not only to prolong its life, but considering that your vehicle tends to be the second most expensive investment after a house you want to keep the resale value as high as possible. If you’re a Top Gear fan I’m sure you remember the episode where they did forensic investigations into several cars and the discovery of their contents was most disturbing and disgusting! So if you would rather not be sat in your own filth this is the ideal place to start getting that interior back to its former glory if not better. This guide discusses how to look after various seat options such as leather, fabric and alcantara; keeping the dash and other plastic trims in top condition; cleaning carpets, maps and headlining to the glass. So being realistic how often do you thoroughly clean the interior of your car? It’s been shown that after a survey most people will only clean out the interior of their cars on average two to three times a year. Which means the rest of the time you’re sitting in dirt brought in on your shoes and clothes; bacteria from unseen bugs off your kids dirty fingers; leftover food/drink (milks the worst) and not to mention when you cough and sneeze! Whilst regular hoovering, dash wiping and window cleaning will keep your interior in good condition, a proper detailing session can have it looking as good as new. 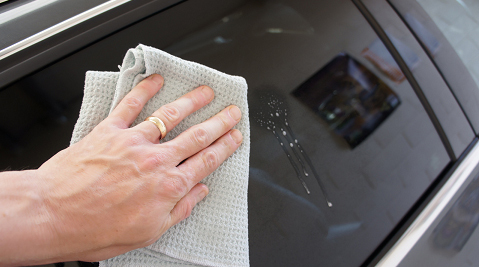 Every few weeks: A microfibre cleaning cloth should be used each time the car is washed to wipe over the interior surfaces and clean the windows. Monthly: Use an interior cleaning spray to clean and protect the dash, interior plastics and panels. Ideally use a spray which has a UV filter to prevent your plastics from fading and becoming brittle. Every 3 months: Give your car a full interior detail, cleaning all fabrics, leather and plastic, etc. to remove the build-up of grime and grease. Finish by applying protectants to repel water, grease and general grime. Fabric seats due to their absorbent nature are more prone to staining than leather. The kinds of stains you can regularly expect are water stains from when you’ve got into your car and its been pouring with rain or perhaps a fizzy drink or even children’s juice or milk has been spilt on the back seats. For most small stains you can use a spray on cleaner which can then be worked into the stain, and wiped off using a cloth. For larger stains, or areas of discolouration, then an upholstery shampoo is the best way of getting them back into tip top condition. An upholstery brush will also allow you to work the shampoo deep into the fibres, removing stubborn stains. If you have kept on top of your car’s interior or have recently purchased a brand new car then it is an easier task to keep on top of the required cleaning, however in some cases you can benefit from using a professional valeter. If like the majority of the general population the interior has not been cleaned for a long period of time down to your own neglect or the recent purchase of a second hand vehicle a professional can use their expertise and knowledge to clean the interior efficiently and more importantly has insurance in case of any issues. As an individual you may not have easy access to specialist deep cleaning equipment which means that you are potentially leaving yourself open to having used too much water or product to clean the seats leaving them wet for numerous days. This in the long run is a negative repercussion of trying to do a good job yourself as it can lead to further growth of bacteria and a horrible musty smell similar to that of clothes having been left wet in a pile after being in a washing machine for a period of days. Fabric protectants do a good job of deterring grease and grime between cleans, and should be applied to clean, dry fabrics. If the fabric seats aren’t too bad and just need a general clean then this guide should be sufficient for your needs. Brush your seats either with a specific upholstery brush or something like a shoe cleaning brush that is not too soft to loosen and remove any dried dirt and grime build-up. By removing this first it makes your job a lot easier. Inspect the seat to see if there are any ingrained stains that have not been removed by the previous step. If there are none but you want to freshen up the fabric then give them a light spray internal fabric cleaner and wipe over with a microfibre. If they are more ingrained stains then spray the fabric cleaner on that specific area and agitate with a brush. Once you feel that this has been sufficiently cleaned you need to remove the residue suds using water, however you do not want to soak the seat. Taking a damp microfibre, sponge the area until all the suds are removed and allow to air dry.. this may take several hours so obviously do this job when you have enough time. Once the area is dry, spray a fabric protectant such as 303 Fabric Guard to protect it from future grime; dirt and stains. Even if you specify on the order form or if leather is listed on a car you have purchased unfortunately these days leather is not how it used to be and it tends to be more a form of either textured vinyl with a thin layer of leather on top or only used on specific areas of the actual seats, such as the cushion and upright parts. The backs and door cards are of a lesser material. Due to this different more cost effective method of having a leather interior it also means that the traditional method of needing oil based cleaners and feeders is no longer required and in fact if used are not worth the effort as it does nothing for this kind of material. These days we are using water based cleaning and protection products. Care should be taken on lighter coloured leathers when wearing certain clothes such as new jeans as it is possible for the dyes to be transferred on the seats which can be difficult to remove. 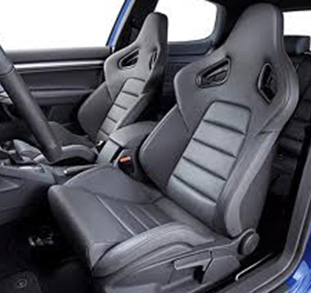 If you have light seats and you use the car regularly then it could be worthwhile investing in seat covers. 1. To clean leather seats you can either use all-purpose cleaner or specific leather cleaner both will do a good job. Either you can spray directly on the seats, although take care not to saturate them and wipe in using a mcirofibre OR spray direct on to a microfibre and wipe on. Paying particular attention to any stains or marks that you wish to remove. 2. 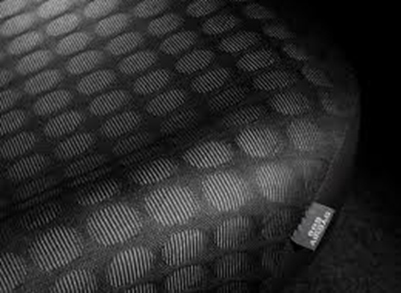 If you have quilted or seats with an intricate leather design it may be useful to use a small detailing brush to enable proper cleaning of stitching and remove build-up of dust/dirt in the folds. 3. After you have done this taking a clean, damp microfibre wipe over the seat to remove any residue from the cleaner. Continue doing this until they are thoroughly clean. 4. Wipe the seats over with a dry microfibre until the seats are completely dry. 5. With specific water based leather protectant spray on to a microfibre and wipe in to the leather. If the leather is damaged, scratched or worn, then you may want to consider using some of the available leather touch up dyes. These will help blend the discoloured areas in with the rest of the leatherwork. Out of all the seat types that you can choose Alcantara or Suede tends to be the most delicate of all the materials and as it is a combination of both a fabric and leather in the way it need to be cleaned it is best to use a specific cleaning product. If the seats aren’t too bad and just need a general clean then this guide should be sufficient for your needs. If there are none but you want to freshen up the fabric then give them a light spray of alcantara cleaner and wipe over with a microfibre. If there are more ingrained stains then spray the cleaner on that specific areas and agitate with a brush. Once you feel that this has been sufficiently cleaned you need to remove the residue suds using water, however you do not want to soak the seat. Taking a damp microfibre sponge the area until all the suds are removed and allow to air dry. This may take several hours so obviously do this job when you have enough time. Once the area is dry spray a fabric protectant such as 303 Fabric Guard to protect it from future grime; dirt and stains. Arguably the carpets and mats are going to get the most punishment in terms of grit and grime of all your interior surfaces. They are designed to be hardwearing, and can be treated similarly to your other fabrics in terms of cleaning. See Plastics & Rubber Trims section before completing the next stage. Before shampooing, it is important to brush by hand initially then hoover the carpets and mats thoroughly to remove grit and dirt which could otherwise end up being washed into, rather than out of your carpets. It is important to ensure that your carpets dry thoroughly, if you can shampoo early in the day and leave doors open for air flow that would be ideal, otherwise ensure that there is a window open to let the damp air escape. Once your carpets are dry, fabric protectants give excellent protection from staining and grease, especially valuable for these areas of heavy wear. Door Shuts - Another well-known area that tends to get forgotten is the door shuts and this is another job that can quite easily and quickly be completed as they do not tend to get that dirty if you keep on top of this area. 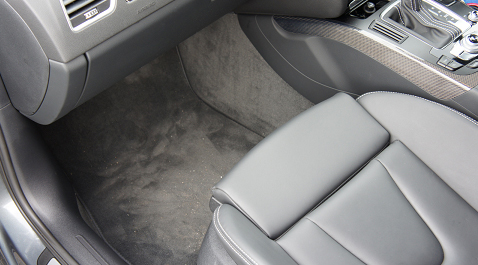 There are a variety of ways in which these can be cleaned, the easiest if they are not too dirty is using a damp microfibre and some all-purpose cleaner to wipe around the internal door paint, along the door sill and also while on the driver’s side a quick wipe over the pedals as they get dirty from your footwear. If they are particularly dirty or you remember at the time of washing you can wipe over these areas with your wash mitt and remember to dry them off afterwards while going round drying the car off. As with the rest of the car these areas benefit from being protected and you can choose from a hard product such as a wax or liquid, whichever you find easiest. Even a quick detailer type product will give you an element of protection, plus speed of completion is helpful. Headlines – depending on the material which you need to identify first can be cleaned in the same manner as the seats. Car interior plastics should not be subjected to too much in the way of wear and tear, and a cleaning spray with UV filter is often all that is needed. If you do have damaged panels or components then you may need to contact your car manufacturer or scour the internet for replacement parts. Most dash damage is caused during the installation of aftermarket stereos; hands free kits and sat navs. If you are planning on having one of these fitted, make sure you go to a professional, reputable company, or take special care if you are doing it yourself. If you have some attachments for your hoover choose the soft brush to carefully go over the dash; vents, centre console; your instrument panel and finally your door cards (more care is required if it is piano black), alternatively if you do not have one of these you can use a plush microfibre and small dash detailing brush. If the area is not too dusty or stained with any areas of dirt then once you have completed this you can simply apply a plastics dressing. The best way is to do this is to use either a microfibre cloth or a microfibre hand held based applicator, apply the product to the cloth/applicator and then wipe on to the surfaces. You do not need a lot and should find that it will spread quite effectively over these. You should NOT look to spray the product directly on the plastics as it will be too thick and can become sticky. If you have not cleaned the interior for a long period of time you could find that it needs a more in-depth clean, therefore after having completed step one. Using some all-purpose cleaner (diluted to the correct ratio as directed on the brands label) on a clean microfibre wipe gently over the surfaces (again special care is needed on piano black as it scratches very easily). Once you have cleaned all the required areas, wipe over again with a damp clean microfibre to remove any residue from the cleaner. Apply your dressing as explained in number 2. There are several safety factors to consider before choosing your plastics dressing. Try to use a matte or natural dressing for the dash to minimise any reflections on to the windscreen which could hinder your vision. Secondly only use a damp microfibre on your steering wheel because any kind of cleaner or dressing will make it shiny and slippery, which of course is very dangerous whilst driving. 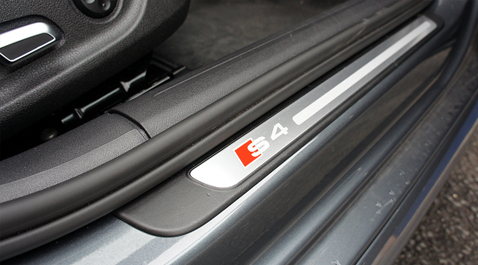 External Plastic/Rubbers Trims – all vehicles these days tend to have some form of plastic on the exterior whether it is around the windows or around the wheel arches. As they are externally on the car they are subject to the harsh environmental damage as the paintwork, but particularly more so affected by UV light from the sunshine. This can make the black trims dull and blotchy, plus quite often you will find that other products you are using on the paintwork such as glazes; cleansers; waxes and sealants accidently go on to these areas and can be difficult to remove. The process of cleaning these is the same as the internal plastics except that you would have pre-washed and shampooed during your Washing and Drying stage. It is possible to decontaminate these areas to remove as much debris as possible before dressing to achieve a better finished result and long term durability. For the external plastics you have more options on the kind of dressing you require from matte, satin to glossy whatever if your preference as these are not subject to any issues with vision unlike your interior plastics. 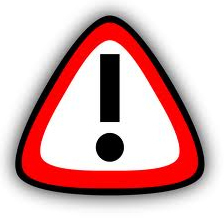 Beware that again that you should apply the product to the applicator rather than directly to the plastics otherwise too much product will be on the area and it is possible to experience ‘slinging’. If you drive the vehicle before it has dried then the loose product can go all over the rest of the car ruining your hard work. Rubber Trims are treated in a similar fashion using the same cleaning and dressing techniques, however there is more importance in ensuring that these are kept dressed. The rubber can dry out in the UV light, again becoming dull. But also you have the danger of it cracking; therefore a dressing protects it from the light and keeps it supple. Glass not only looks better when polished to perfection, but also improves safety and visibility when well maintained. Either after having washed your car as a full detail or regular maintenance glass surfaces will always need to be cleaned. As with any of the other surfaces these can be contaminated with external debris, but the most common tend to be water marks after a period of rain. Specific glass cleaners are a good way of cutting through the grease, dried residue and potential bugs to achieve a smear free finish. You do need to beware however of overspray as some products on general store shelves contain cleaning agents that can be harmful to your protected paintwork or plastics such as your dash. Therefore it is important to read the label both for instructions and contents before beginning this job so you know where you stand. The majority of specific detailing glass cleaners supplied by ourselves and other retail stores should however be safe. Stickers – having either removed these yourself or if you have found that stickers have been on the glass in the past then you will need to use a specific glue remover product to break down the product before cleaning with your glass cleaner.